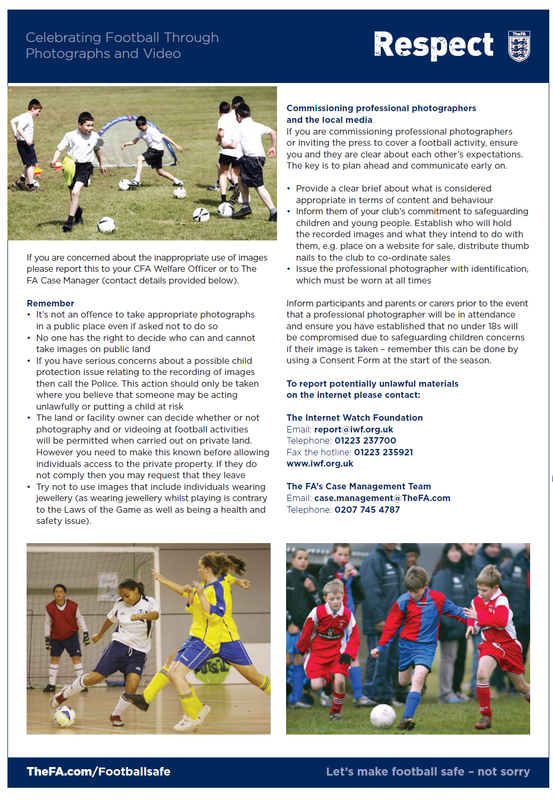 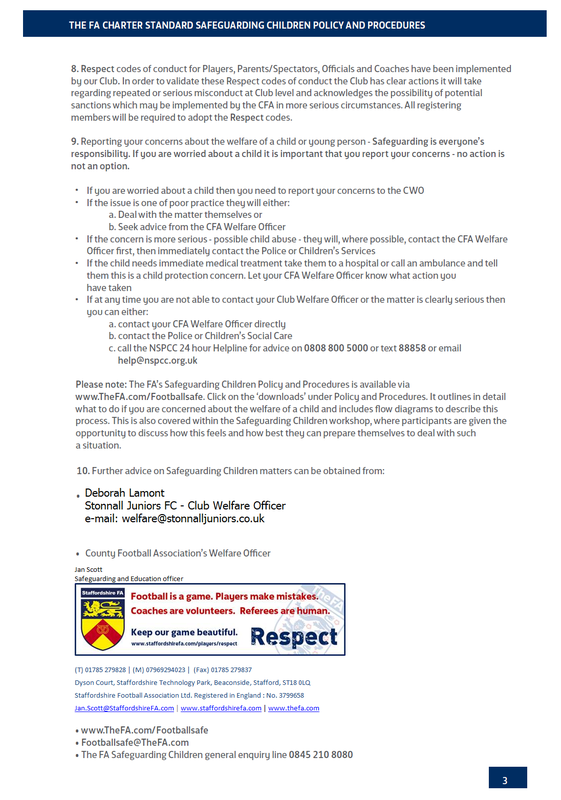 Safeguarding – Play Your Part (update from FA – December 2016): please click link. 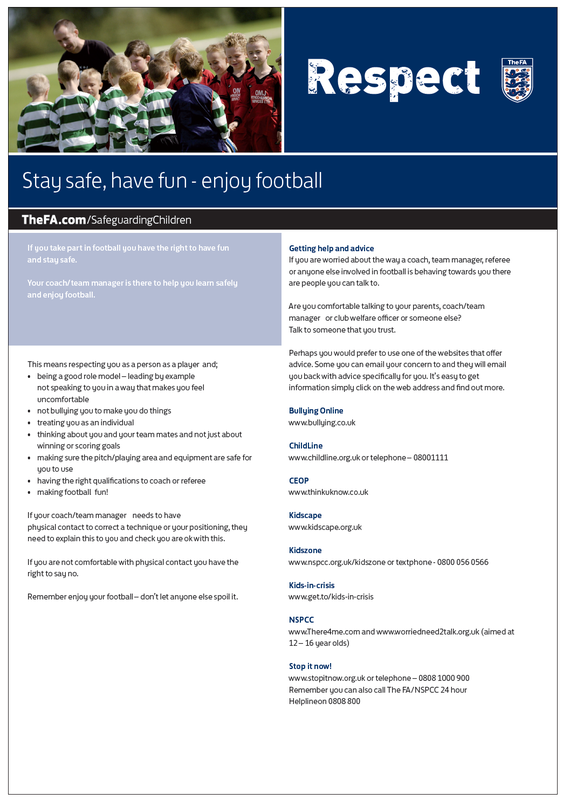 Stay safe, have fun – enjoy football! 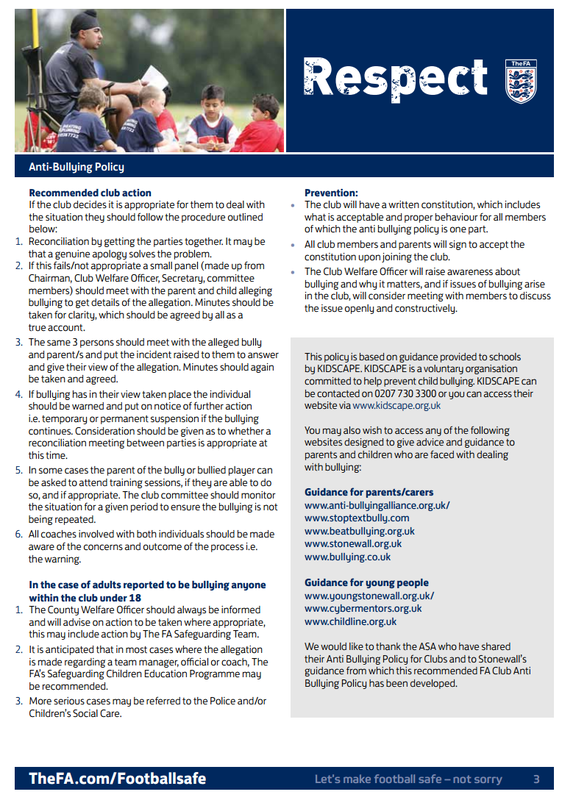 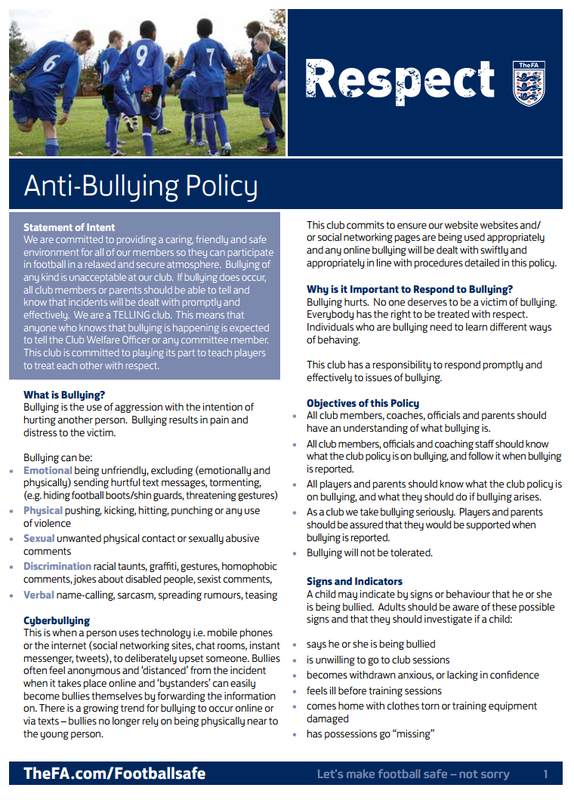 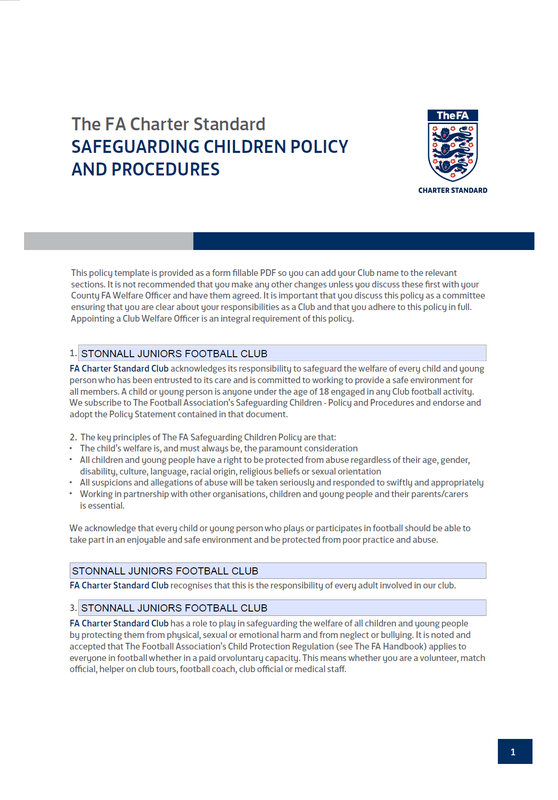 Stonnall Juniors FC – Anti-bullying policy (page 1). 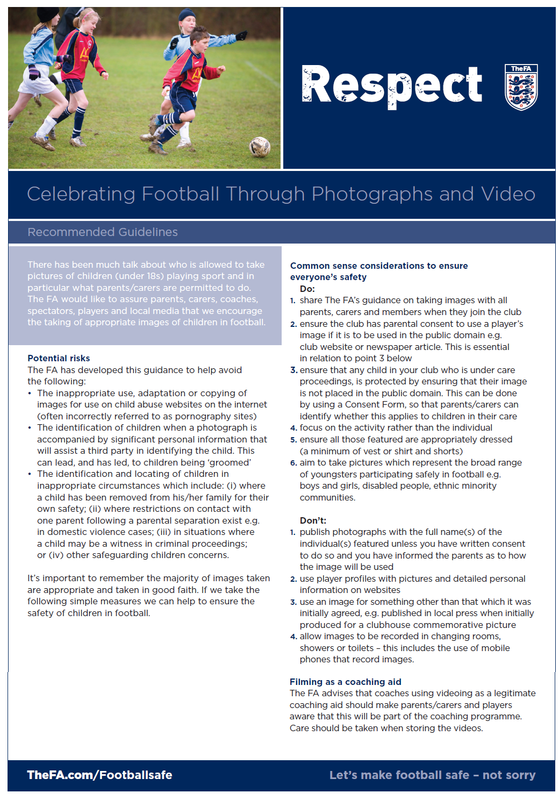 Adopted from the FA template. 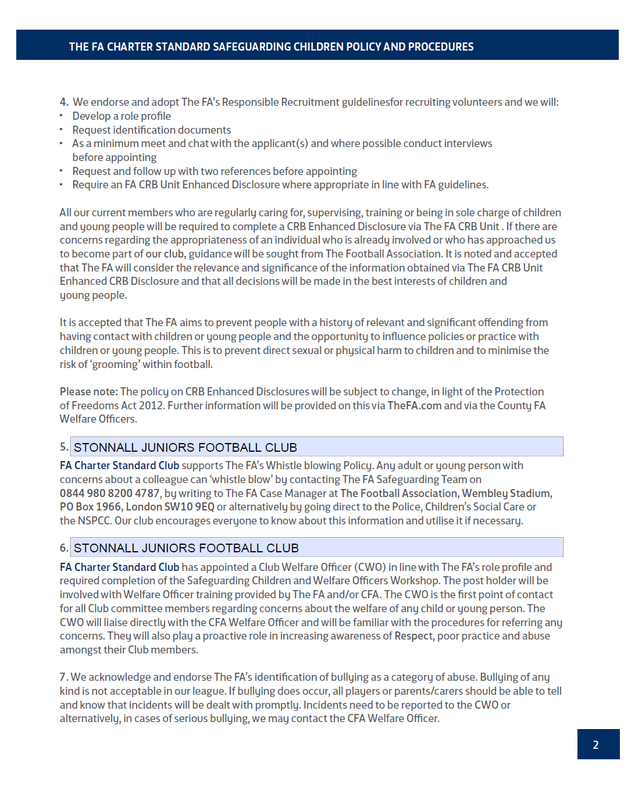 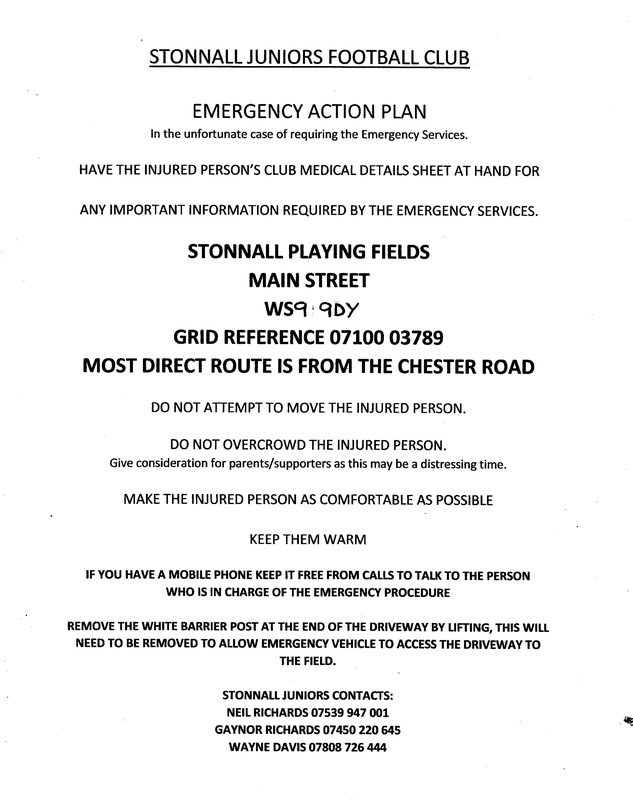 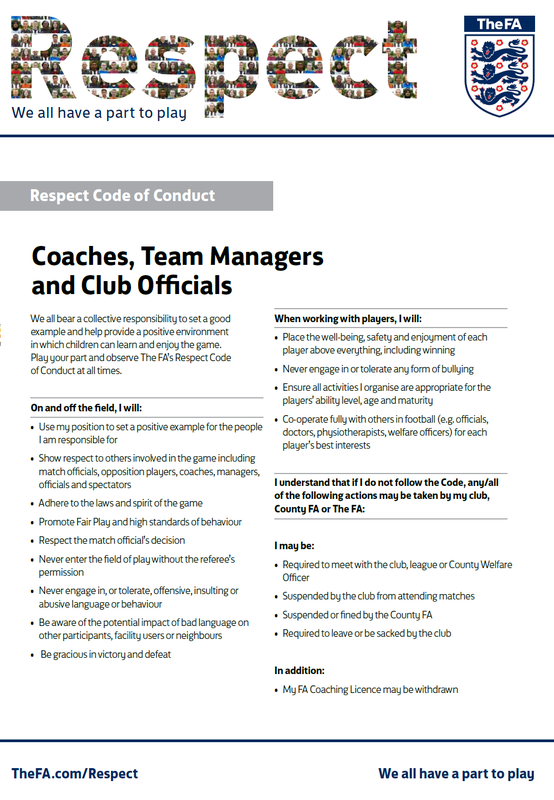 Stonnall Juniors FC – Anti-bullying policy (page 2). 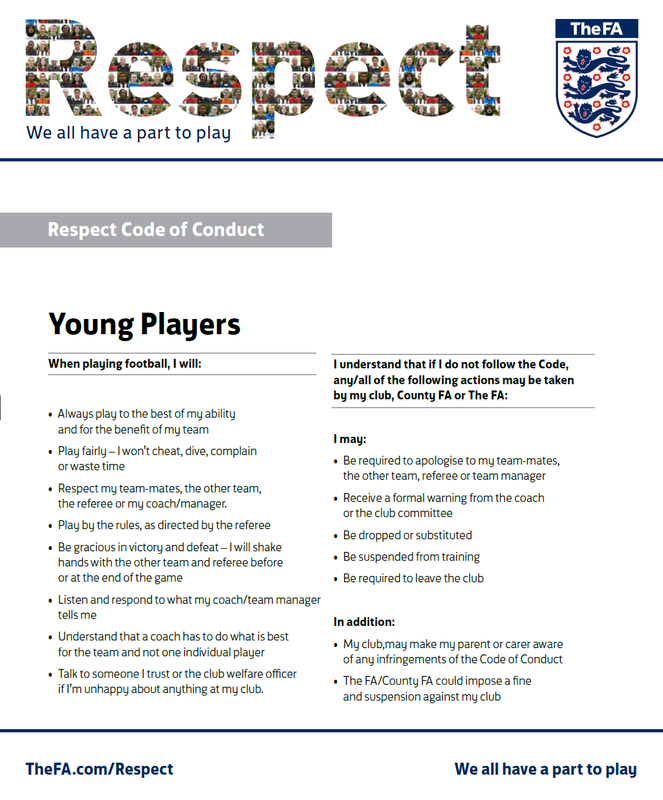 Adopted from the FA template. 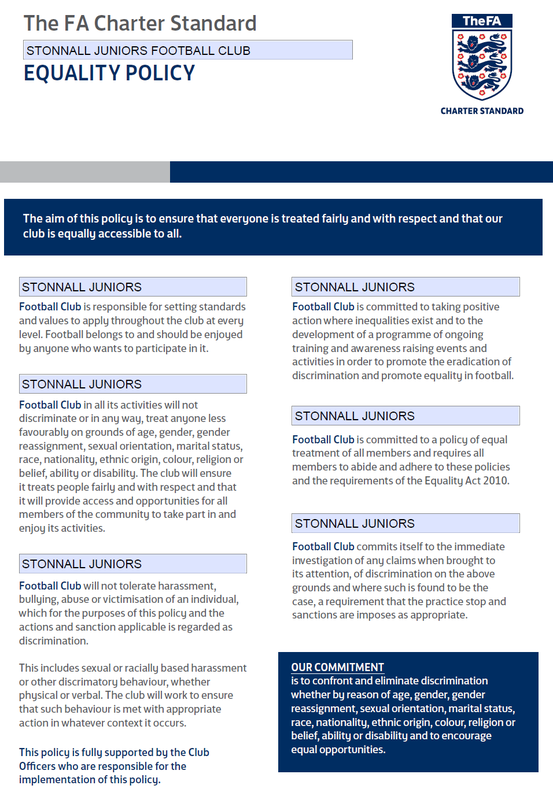 Stonnall Juniors FC – Anti-bullying policy (page 3). 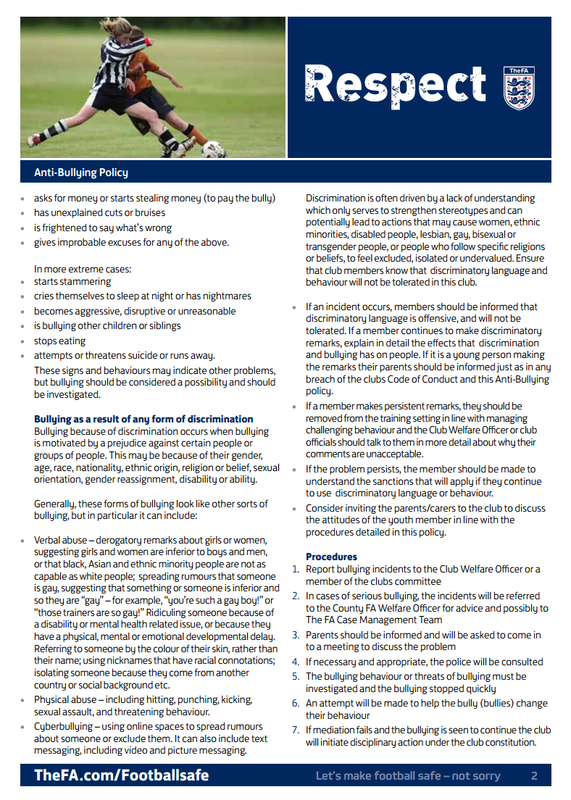 Adopted from the FA template. 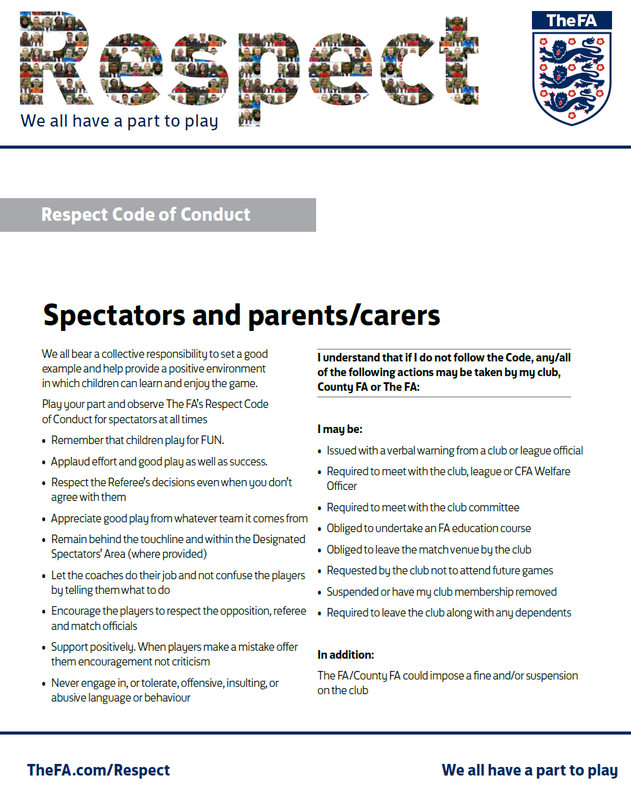 Parents support, let the coach coach and the players play.